Designing of a website decides its look and by determining the color, layout, planning, textual requirements and so on. It is a bit complicated process that requires web develops and designers. Designing is necessary to make a website more interactive that can clearly conveys the idea of a business. It should also be attractive at the same time with the right amount and correct placement of text, images, graphics and logos. A good web design can not only enhance the look and feel of the website, but it can also play a major role in increasing the overall sales and thus the revenues. With the advancement of technology, the process of designing also becomes simpler. Now, there is no need to hire any professional website designer or developer on hefty payments. Many online websites have come forward to make this task less expensive and hassle free. You can easily find these websites on the internet; just make your choice among them wisely; otherwise you may not get the desired results. We will discuss about the features of a good web designing company, but first let’s tell you the advantages of designing a website. 1. A good website design clearly depicts the brand value and purpose of a business. 2. A good website design lets the users to navigate the website with extreme ease, this feature is extremely important because if customers will face any problem related to navigation they can immediately leave the page. 3. A good design is engaging and can hook the client for longer. 4. Good design can attract more and more customers with the right amount of SEO and its ease of design makes it user-friendly. 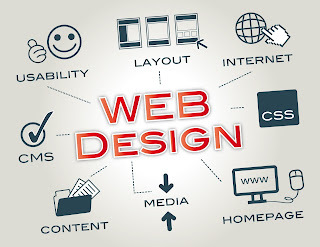 Website design creates the base of your online business, because this business depends on two major things; first the design and performance of your website and second the quality of your products and services. As, we have talked enough about the importance of a good website design, its time to take a look on the features of a good website builder or designer. 1. A good website designer offers unlimited choice for website design templates. 2. The tools provided by them are easy to use and e-commerce and social networking enabled. 3. Good website builders give money back guarantee in case of dissatisfaction and virus and spam free e-mail accounts. It is important to look for these features before availing the service of a website designer; otherwise there is a possibility that you may not get the desired satisfaction. So, choose your web designer wisely and enjoy the best of web builders. A good web design is important for the success of any website by increasing the engagement duration of users. But, it is also equally important to choose a website builder wisely, because it is the one that will satisfy all the requirements of a website. Just surf the internet, choose the desired one and enjoy a successful online business.